There is one appliance every kitchen should have, and that is the best built-in microwaves. Not only does it offer you safe cooking it is great to heat food, defrost food, and saves you money on the gas and electric bill. What better way to serve popcorn quickly without a mess than using the microwave. Does your appliance need a replacement? 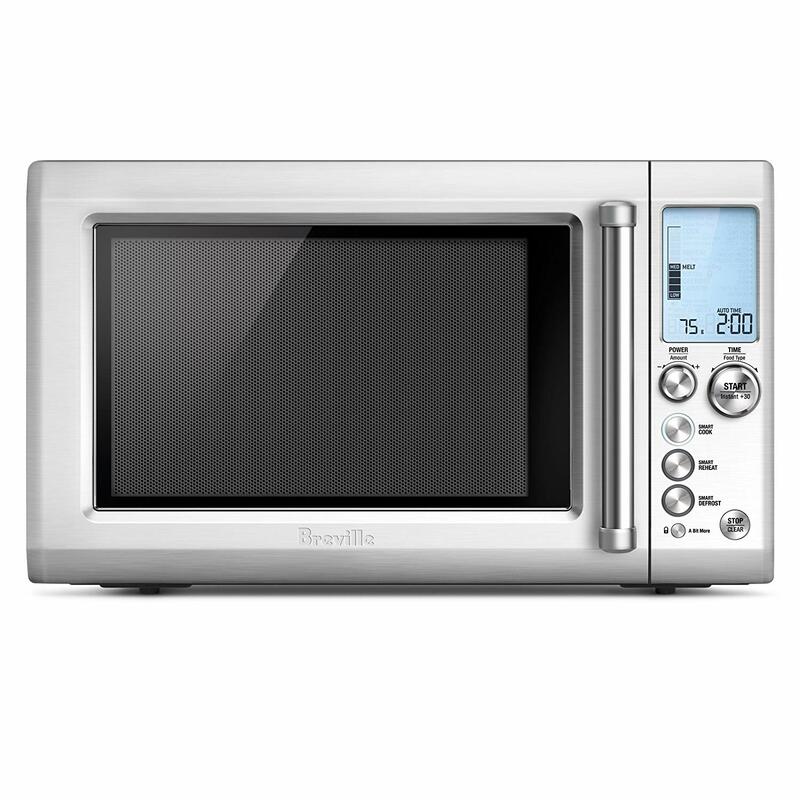 Check out the built-in microwaves reviewed here and find a suitable one to use in your kitchen. The majority of models on the list offer you preset cooking and different capacities with energy efficient function. 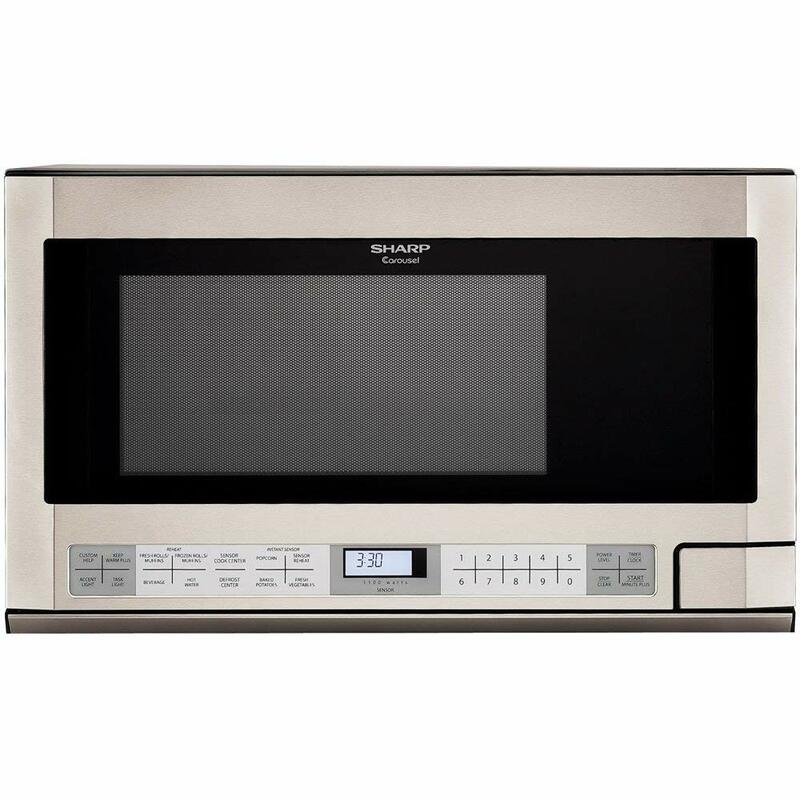 No matter what your budget is, you can find a top of the line microwave at an affordable price. 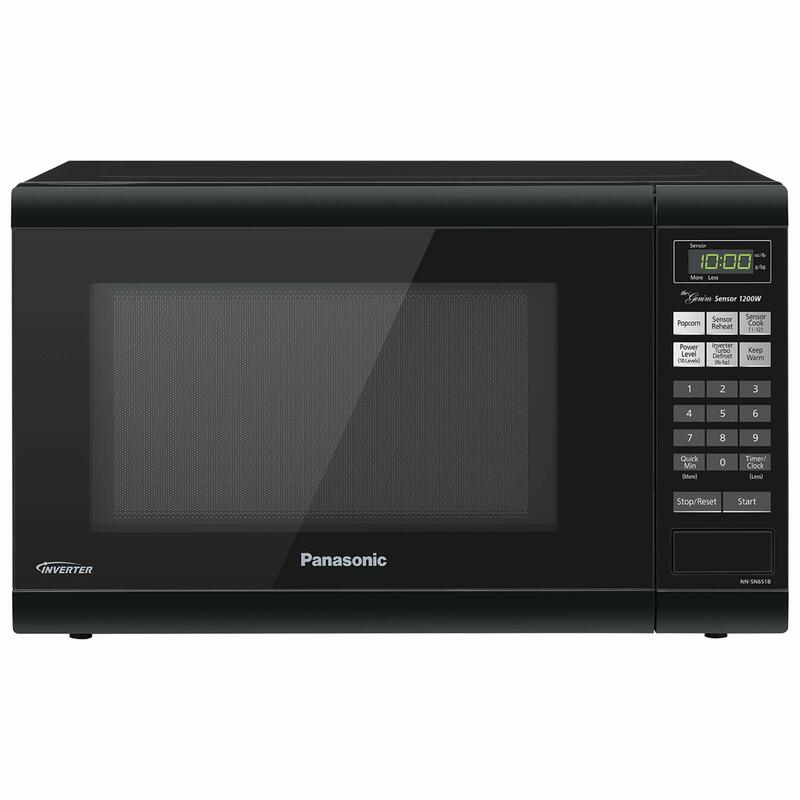 The Panasonic countertop microwave you can use standing in the kitchen or place it in a cupboard as you please. The appliance comprises inverter technology to deliver fast and delicious cooking results. You can use the equipment to poach, braise, and steam food leaving you with healthy treats to enjoy. There are twelve cooking options to make soup, pizza, pasta, and more. With the one-touch control, you can pop popcorn, reheat food, turbo defrost and warm food. The piece of equipment takes up little room and suitable to use in an apartment with limited space. The capacity of the unit is 1.2 cubic foot and has a 13.4-inch turntable. As you can see, by the measurements the microwaves made for small families. The controls are easy to use with a high-end look. You can buy it in a black or white color to fit in with your kitchen décor and looks great anywhere. Further, you can use it at the office with the powerful 1200-watt motor. Pick one today you love the price and functions it offers. 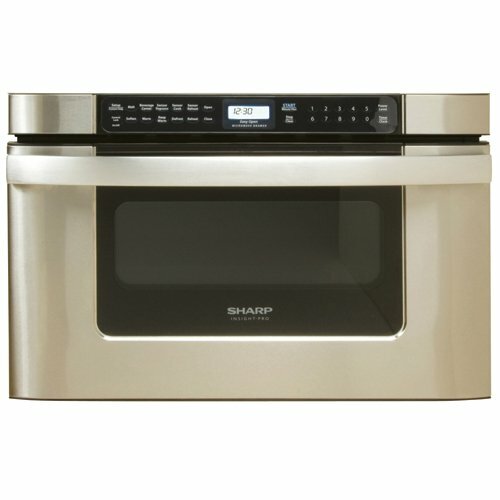 Sharp offers you a countertop microwave you can count on to prepare the best and quickest meal. You can place it standing on the kitchen counter or build it into a cupboard. The family-sized appliance offers you 1.8 cubic feet capacity to cook and reheat food. With the 1100 watts of power, you get rapid heating and fast cooking making meal preparation a breeze. The 15-inch glass turntable removes easily for cleaning and is big enough for your standard microwave dishes to fit in comfortably. The appliance has a glossy black finish and scratch-resistant glass door making cleaning quickly. There is a thirty-second key with precise cook sensor and popcorn & beverage setting. Furthermore, you get ten cooking power levels to steam, heat, and cook meals. The features available are user-friendly with the one-touch control and comes with auto defrost. 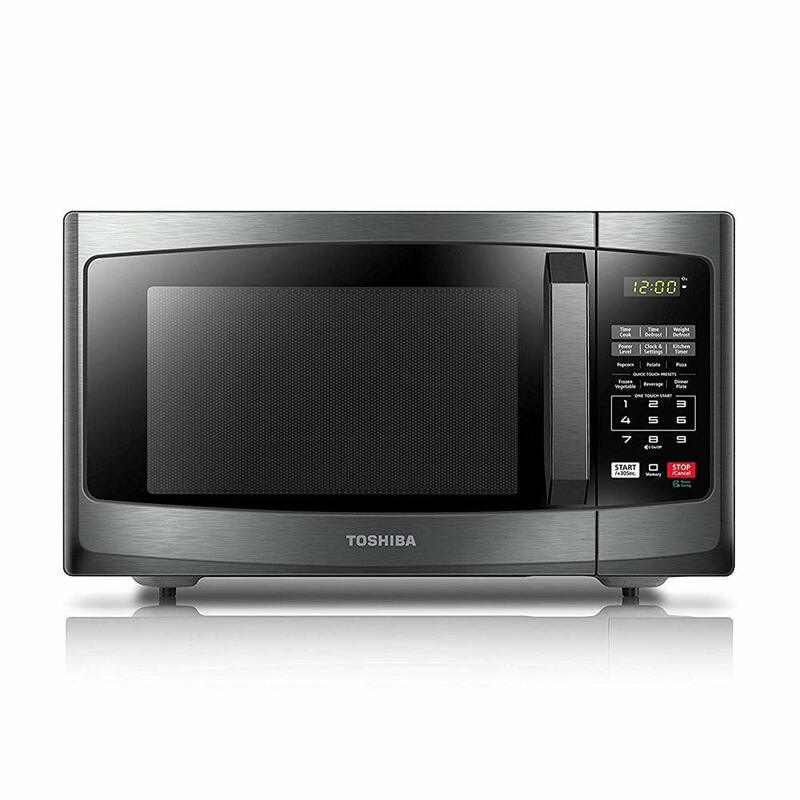 While the Toshiba countertop microwave is not as powerful as the previous models, it still makes cooking easier. The appliance measures 19.2 x 15.9 x 11.5-inches and has a 0.9 cubic foot capacity. On the inside is a glass turntable and powered by 900 watts. The exteriors black and have a digital control panel with interior LED light. You get one-touch start with six pre-programmed functions and power saving mode. To prevent children from opening the door, it comes with a child lock. You can use it to heat food, defrost, make popcorn, and steam food. 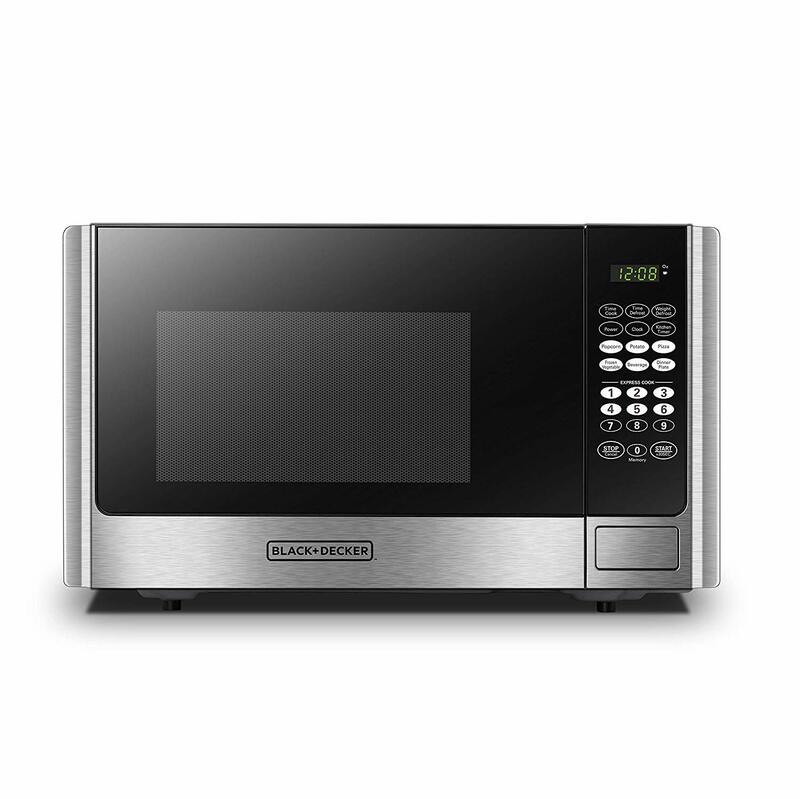 If you want to start saving power today get this affordable built-in microwave today. The Black & Decker has a professional look and offers you 900 watts of power. The capacity of the appliance is 0.9 cubic foot and comes with a removable glass turntable. 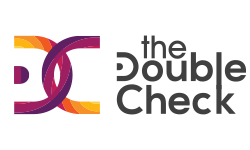 There are ten power level settings with six functions to auto cook, heat, defrost, and more. The LED is large and offers you a clock function with a timer. The door opens easily with a push of the button and has a 30-second express cooking key. Furthermore, you can prepare popcorn, beverages, and place your dinner plate in it for warming up the food. Alternatively, you can place it standing on the table or build it into a cupboard to save space. With the fantastic color design, it fits in with any kitchen décor. 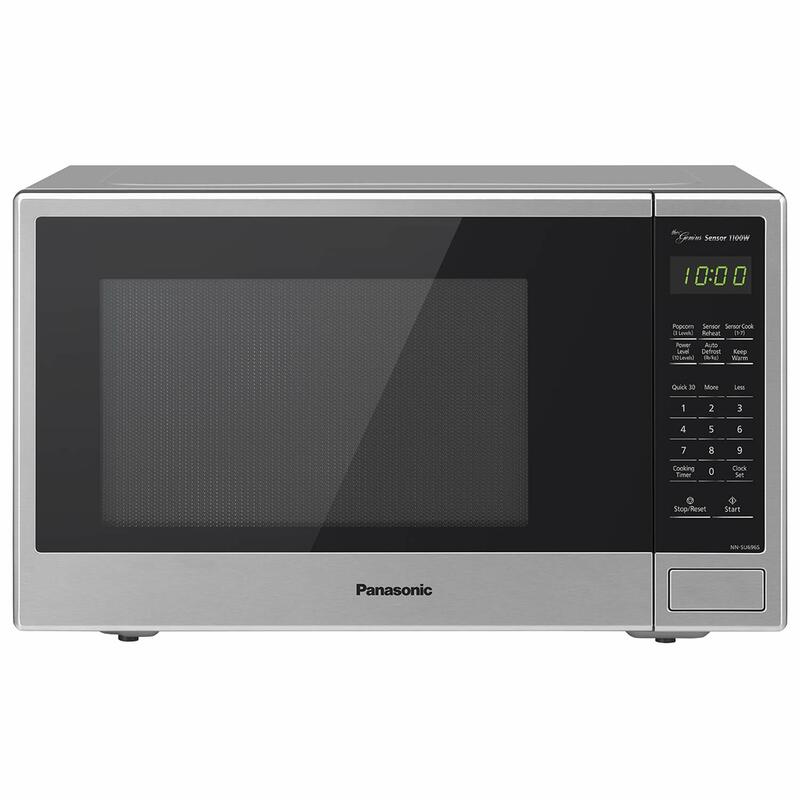 With the Panasonic built-in microwave, you get innovation and power of 1200 watts. You can steam your food quickly with the inverter technology and prepare most dishes with ease. There are 14 auto cook settings to make porridge, soup to vegetables. The controls sleek and pre-programmed with a four digital display with one touch sensor for reheating food. Use the turbo defrosts to thaw food quickly. With the keep warm function, you can make sure the food stays warm until dinnertime. Alternatively, you can place it standing on the counter or make use of a trimming kit to put it into a cupboard. The Breville RM-BMO734XL offers you a quick start one-touch button to prepare different meals. With the IQ sensor, it reheats food evenly and automatically adjusts the cooking time. Although the appliance is not as fancy as the other built-in microwaves you, get ten power levels from 10% to 100%. The constructions durable and made with a stainless steel interior with fascia and door handle. The appliance measures 20.5 x 18 x 12.5-inches and fits perfectly into a cupboard. Alternatively, you can use it standing on the countertop. The NN-SU696S is a countertop and built-in microwave that takes up little space. The appliance has incorporated inverter technology that helps with even cooking — the units equipped with 1100 watts of power and have a capacity of 1.3 cubic foot. 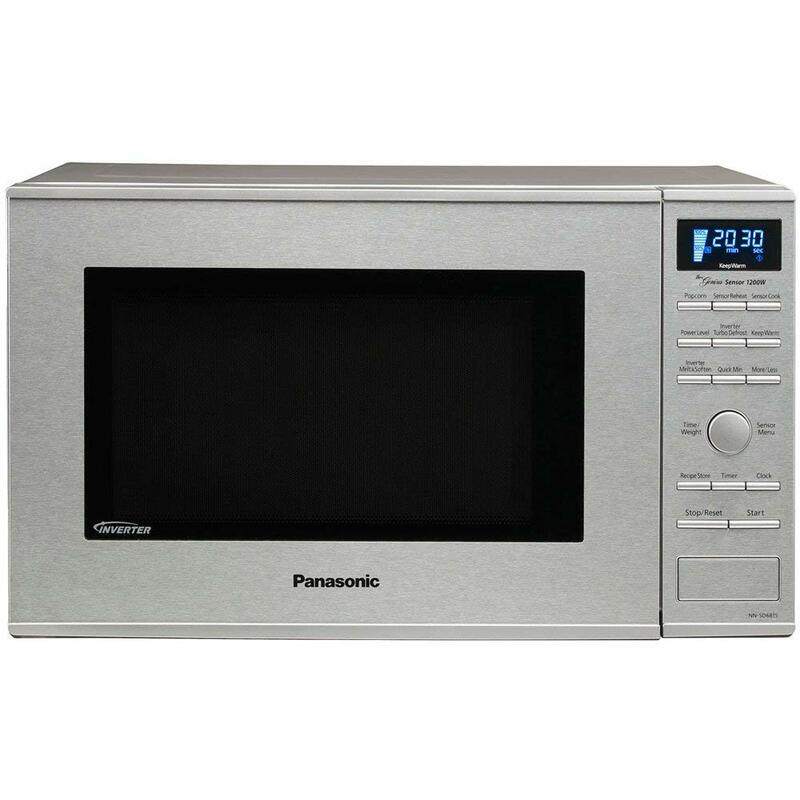 As with the other Panasonic, microwaves reviewed this one also offers you seven auto cook settings. Further, you get a one-touch control to make popcorn, reheat food, and defrost and more. The glass turntable measures 13.4-inches and you can remove it for cleaning. The controls are easy to use and have a high-end look to fit in with any home interior. You can thaw food quickly with the turbo defrost and keep your food warm for up to 30 minutes as well. Pick your favorite color now and start preparing quick meals in your home. 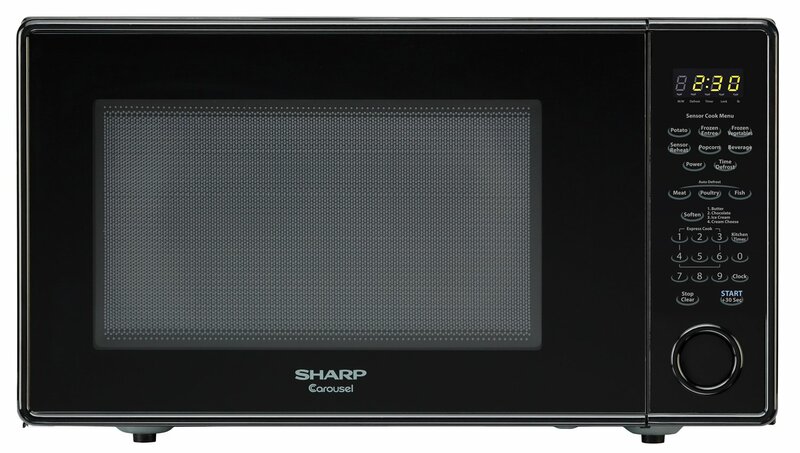 The Sharp is one of the best over-the-counter microwaves you can also build-into a cupboard. The stainless steel exterior gives it a stunning appearance to fit in with your kitchen décor. With the smart & easy sensors, you can prepare food quickly and comes with 11 reheat settings. The cover saves valuable space and does not need a built-in kit and easy to install. Further, you get under cabinet task lighting. You get a wide selection of placement options to smarten up your kitchen design. 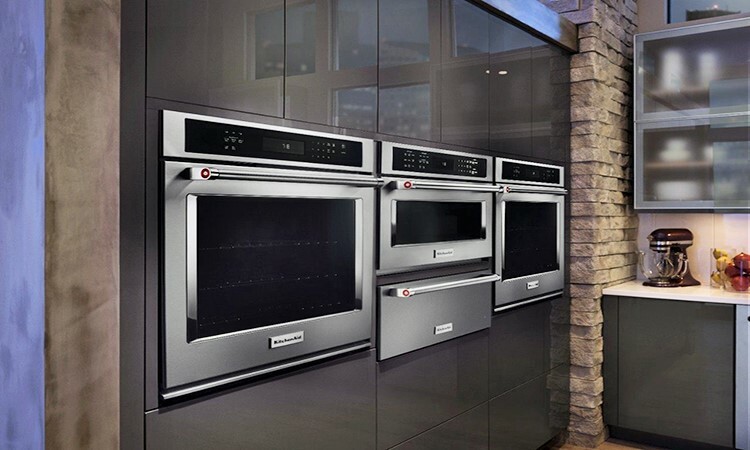 With the auto-touch control panel, you can select cooking times and power levels. Even defrosting food is a pleasure with the defrost setting that automatically sets the time and power level needed. 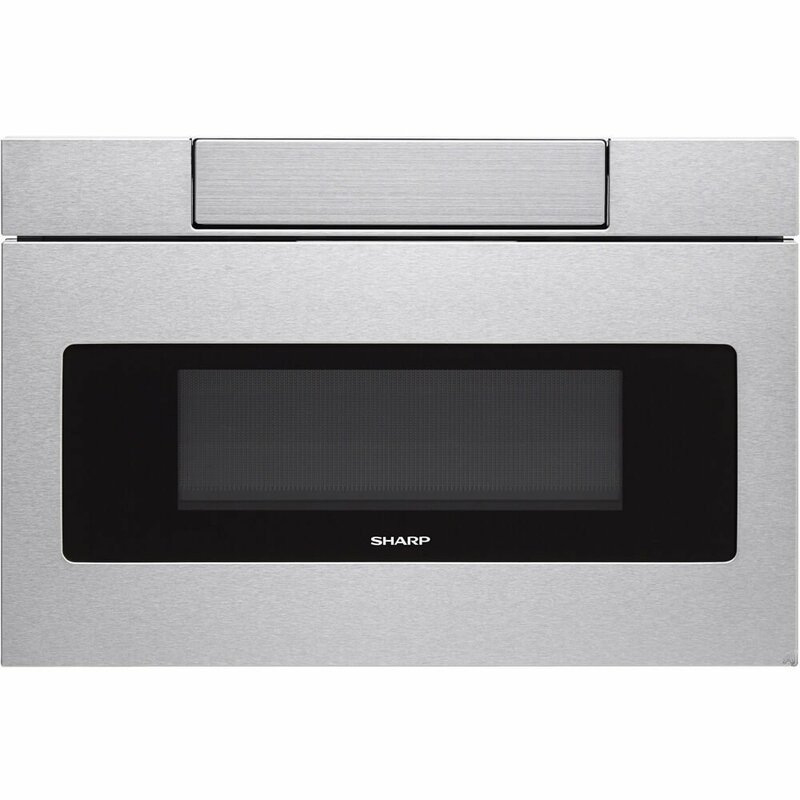 The Sharp Micro Drawer Oven offers you 1.2 cubic feet capacity with 1000 watts of power. The exteriors stainless steel and fit in with any kitchen décor. The sleek styling looks great and streamline. The control panel is concealed and open for reading at a 45-degree angle. The easy one-touch door makes using simpler as it opens automatically and has a large interior to place four-quart dishes. You can even put a sizeable 20-ounce beverage cup in it. With the versatile design, it offers you a stand-alone or built-in function. There is an interior oven light, and the display is digital so if you need a built-in microwave that takes up little space pick this one. Save space with the built-in Sharp drawer microwave oven. You can buy it in stainless steel, black, and white color. The appliance cooks food with a high power of 1000 watts. The interior measures 1.15 cubic foot and opens automatically with the towel bar handle. You can open it with the touch button and has an auto-touch control panel with LCD screen. The display provides you with a time, eleven power levels, and timer. With the sensor cook, you can prepare different meals and use the auto defrosts for quick thawing. Therefore, if you need one of the best built-in microwaves, this one is ready and available to use. No matter how big or small your kitchen is you can find the best built-in microwave here to save loads of space. Each model offers you different functions to prepare quick meals. While others provide, you pre-set menus and so much more. Pick your favorite microwave oven today and start making food in the home without any fuss or hassles.